Institute of Continuing Education, Chongqing College of Electronic Engineering, 401331, Chongqing, China. In this paper, we introduce the production of ductile iron crankshaft of the engine status quo and development. Ductile iron crankshaft discussed smelting process, alloying and manufacturing process mode. This paper focuses on the application of isothermal hardened spheroidal graphite cast iron in the crankshaft, especially its application in the power of the engine crankshaft. We also introduce a way for casting production technique of high strength-high toughness nodular iron crankshaft. 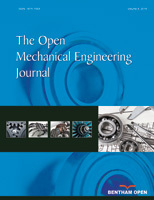 In order to increase the strength, toughness of the nodular iron crankshaft and improve casting quality, a series of investigations were carried out on the mini-amount alloying technique, control technique of iron melt eutectic point, nodularizing treating technique, curved parting method and the structure normalization process and, as the result, the high-strength and high toughness nodular iron crankshaft was successfully developed. The tensile strength of the crankshaft was increased from original 872 MPa to 927 MPa.